In the last few years, there has been a growing interest in the adoption of declarative paradigms for modeling and verifying process models. 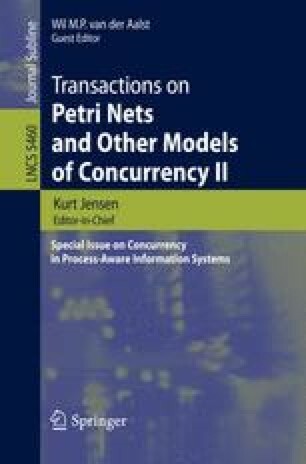 These paradigms provide an abstract and human understandable way of specifying constraints that must hold among activities executions rather than focusing on a specific procedural solution. Mining such declarative descriptions is still an open challenge. In this paper, we present a logic-based approach for tackling this problem. It relies on Inductive Logic Programming techniques and, in particular, on a modified version of the Inductive Constraint Logic algorithm. We investigate how, by properly tuning the learning algorithm, the approach can be adopted to mine models expressed in the ConDec notation, a graphical language for the declarative specification of business processes. Then, we sketch how such a mining framework has been concretely implemented as a ProM plug-in called DecMiner. We finally discuss the effectiveness of the approach by means of an example which shows the ability of the language to model concurrent activities and of DecMiner to learn such a model.